Pocket watches may be making a bit of a comeback these days, but in today’s fast-paced world, a wristwatch is much more accessible. Luckily, the Bell & Ross WW1 Chronographe Monopoussoir Heritage combines the best of both worlds to capture the allure of the pocket watch with the functions of a wrist watch. 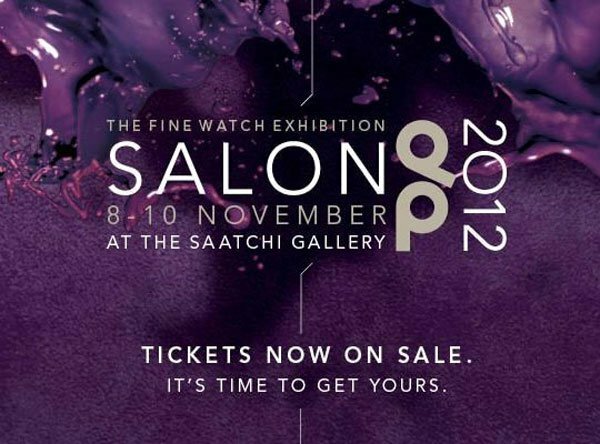 The best parts of the watch? The design is incredibly clean, which is its own aesthetic attraction. The open black dial face with easy-to-read cream and white indices is a dream. The chronograph dials are equally legible and well-placed. The watch is also available in a cream dial with black indices. 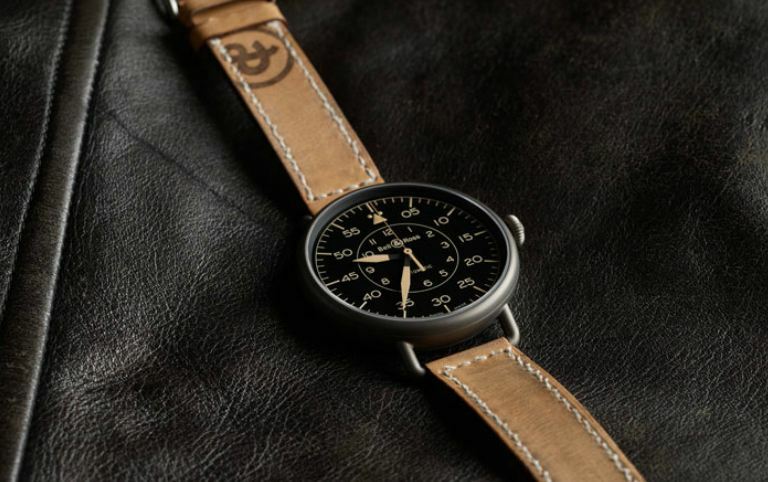 Based off the popular watches of WWI, just about the time that timepieces were making the switch between wristwatches and pocket watches, the clean, large design translates well into the modern day. Building off the design ideals of the 1920s and some of the earliest pilots, the Chronographe Monopoussoir WWI (in this case, the initials stand for Wrist Watch 1), Bell & Ross work to incorporate the best parts of watch history with a few modern modifications. A single winding chronograph, the single button on the side of the watch controls all of its functions with a few simple commands including 60-second and 30-minute totalizers. The wristband on the Chronographe Monopoussoir Heritage line is unique as well. Choose between distressed leather or calfskin with contrast stitching. 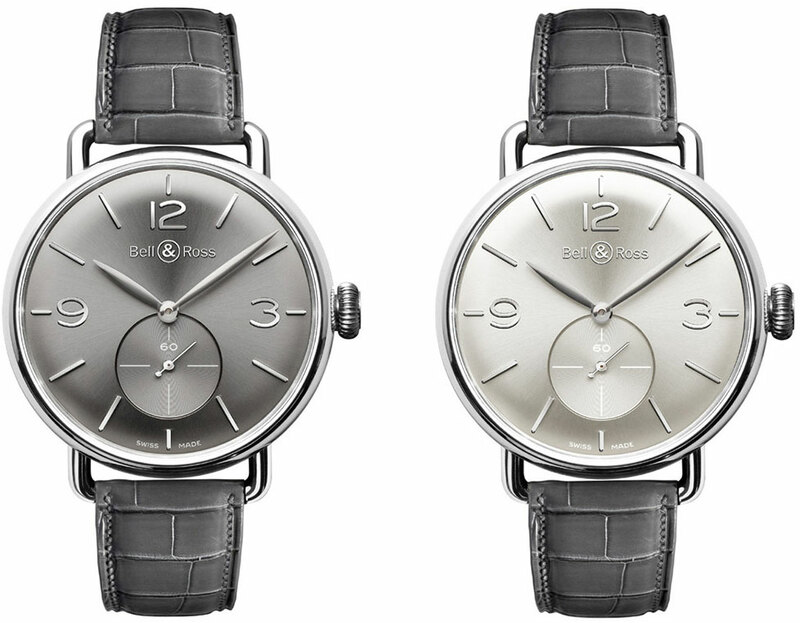 Both versions incorporate comfort and style into the watch, lending it an old world feel. 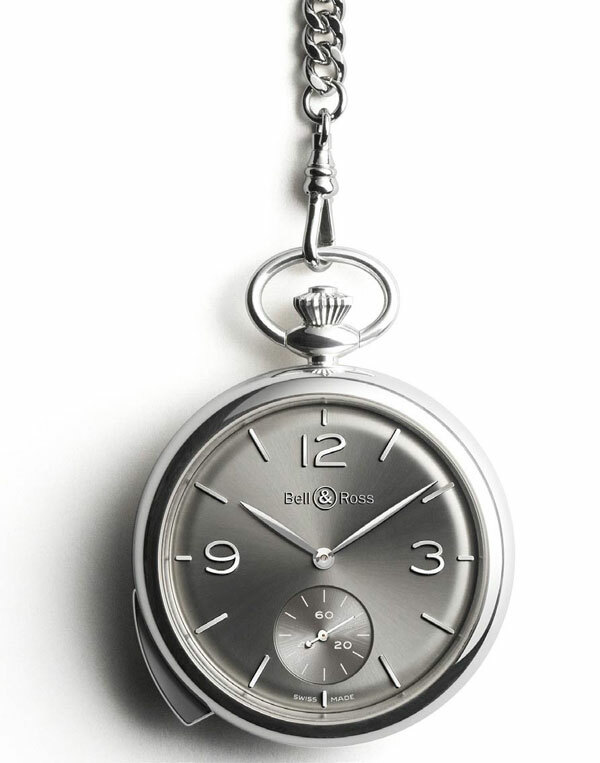 The large watch design is made to resemble the key fob of pocket watches, not only mirroring them in the font and size, but in its construction as well. Adding to the feeling of eras past is the domed anti-reflective sapphire crystal dial window. The sapphire is incredibly durable, adding to the longevity of the piece. Waterproof up to 100m, or 330ft, and encased in stainless steel, this watch is as sturdy as an airship. Indeed, the WW1 timepieces are more inspired by the early pilots who pushed the trend of wristwatches into the public eye than by the war. Time moves at such a fast pace these days, but it’s good to know that some ideals will remain untouched by the passing of the years. The clean good looks of the Bell & Ross WW1 Chronographe Monopoussoir Heritage combined with its sturdy reliability and wearability stand as a testament to the times gone by. Bell & Ross have been known to make luxury watches for professionals who work in extreme conditions and must face hazards as part of their routine duties. 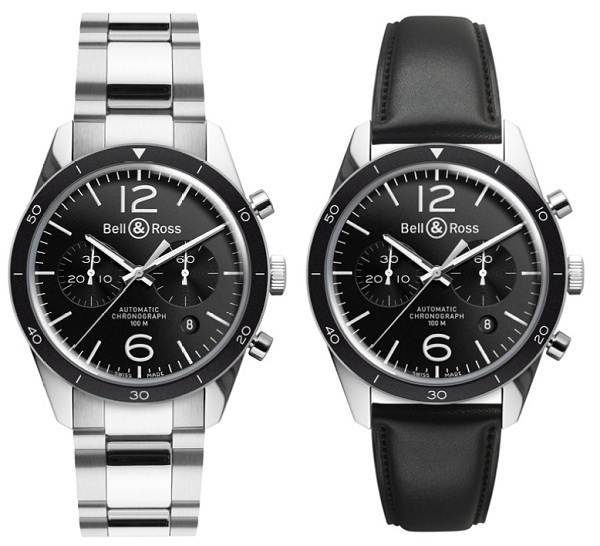 For many years, experts in the fields of diving, astronautics and bomb disposal have relied on the precision timekeeping and ergonomical design of Bell & Ross timepieces to aid them in their occupations. 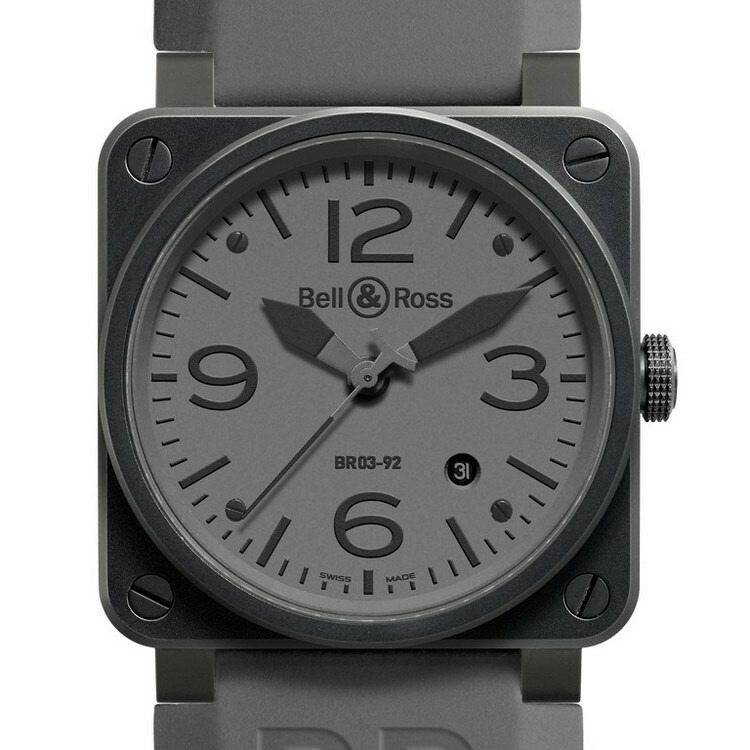 Bell & Ross has mastered the art of creating very attractive timepieces that can withstand even the most extreme environments without sacrificing comfort and accuracy. The BR-03 92 model is available in a plethora of colors and styles that will please those who love the monochromatic look to those who crave color in their life. 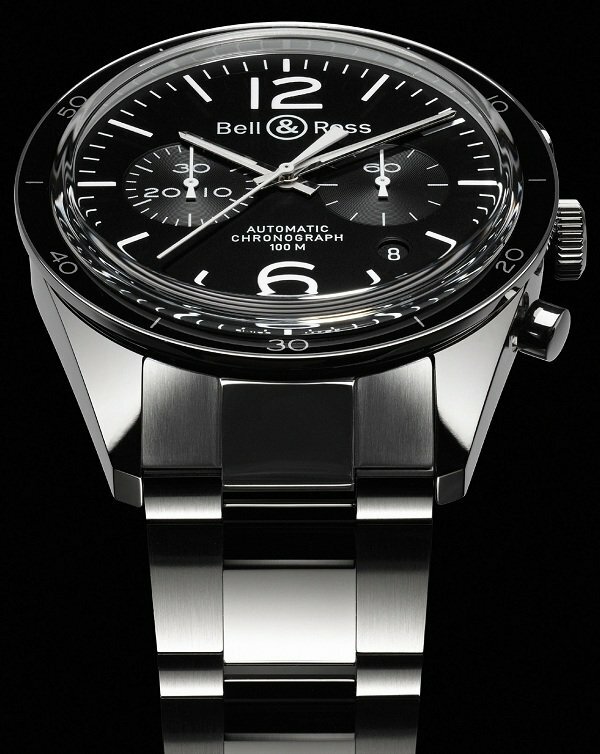 The BR-03 92 is an analog watch featuring a self-winding automatic movement with hour, minute, second and date functions. The smart square case has anti-reflective glass and measures 42 millimeters with the rubber strap measuring 11 millimeters in thickness. The stationary square bezel appears to be military inspired and has a rugged look while exuding subtle luxury which works perfectly for work and after hours leisure. This timepiece is definitely a far cry from similar luxury watch brands that have a lot of embellishments and bells and whistles but for those who can appreciate a luxury watch without all of superfluity, the BR-03 92 is a perfect match. 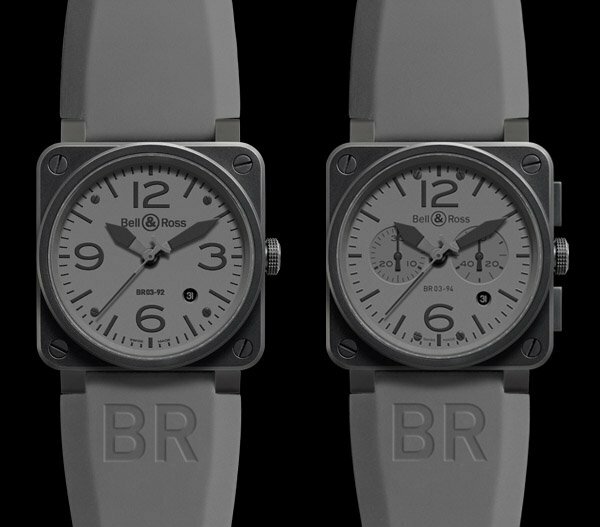 Staying within the streamlined and minimalist design is the BR-03 94. This timepiece is also available in many styles of faces and bands. The stainless steel case with matte black PVD finish measures 42 millimeters and is said to resemble the BR-01 94 but without the bulk. The BR-03 94 has a rubber wristband that is ideal for those who have sensitive skin and wear their watch on a daily basis. Those who require a timepiece that is as hard working as them will appreciate the durability and reliability of the BR-01 94 which features a black dial with numerals and index hour markers, chronograph and stop-watch function and a 42-hour power reserve. The watch’s easy-to-read black hands are coated with photoluminescence and there are two sub dials for central seconds and seconds located prominently on the dial for easy readability. Both the BR-03 92 and BR-03 94 are excellent timepieces for busy professionals who desire a smart and sturdy watch from a brand with a long history of creating only the finest timepieces that are the constant sidekicks of experts in various industries. French luxury watchmakers Bell & Ross has premiered yet another stunning timepiece which reflects their four core principles of design: optimum resistance in water, well-defined optical displays, expert functions and precise Swiss movement. 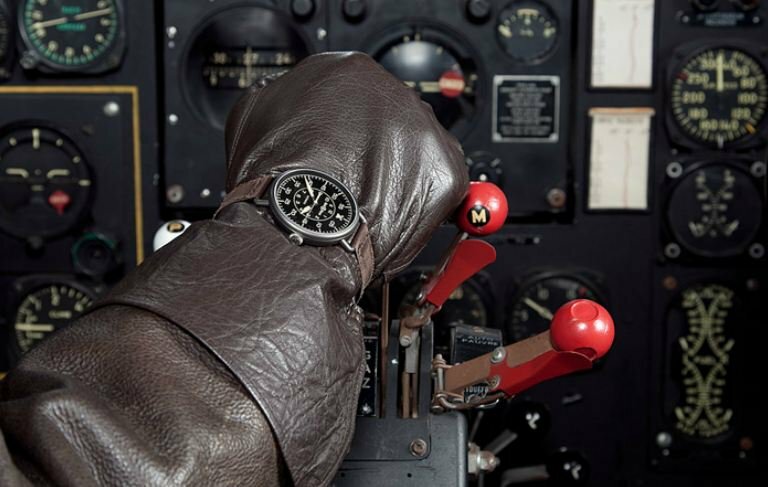 Bell & Ross’ signature timepieces often mimic the appearance of aircraft cockpits however the brand has also mastered creating specialized timepieces for those who require watches which can stand up to high levels of external pressure and deep water resistance. As Bell & Ross is highly skilled at creating first-rate timepieces for professionals therefore one can expect only the most superior craftsmanship. The Vintage BR126 Sport Chronograph pairs high fashion, sports and luxury watchmaking all in one stylish watch. The name of the piece suggests that it is a vintage style however; this magnificent timepiece is anything but antique when it comes to design and function. Gentlemen should be assured that the vintage qualities of this timepiece are reflected only in the high quality watchmaking and design which Bell & Ross has long been world renown. Bell & Ross’ Vintage BR126 Sport Chronograph is a very smart-looking watch with its stainless steel case and bezel, round black dial and anti-reflective sapphire dial window. 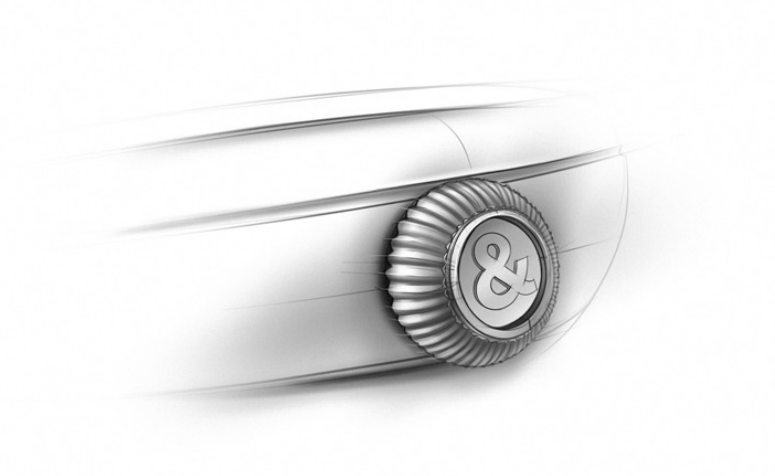 One can instantly transform the look and feel of this watch by simply changing the watch band. The Vintage BR126 Sport Chronograph gives you the option of wearing a stainless steel band or select another one of their assorted watch bands such as black calfskin. This allows one to easily change from work to leisure time within minutes while still being able to depend upon Bell & Ross’ superior horological function and design. The black dial bears a three-hand display with two supplementary dials for the date and power reserve. The case diameter is a bold and impressive 41 millimeters with the case thickness being 14 millimeters. This striking watch has the customary Swiss-Automatic movement and is water resistant to 330 feet so those who enjoy time by the water need not worry about damaging his sports watch. The sleek and sporty look of this watch is largely due to the minimalist design of the black dial with 12 and 6 o’clock denoted in Arabic numerals, luminous hour markers and minutes marked on the outer circumference of the dial. Gentlemen of all ages should be drawn to the classic design and contemporary look of the Vintage BR126 Sports Chronograph. This timepiece perfectly complements men of refined taste and those who desire only the best.